This documentary explores the life of the heroic spiritual leader of Vietnam, Cardinal Van Thuan, who became a political prisoner and a prophet of hope. The powerful film traces the history of Thuan from his privileged upbringing in a powerful political family to decades of war, betrayal and imprisonment -- when he would celebrate Mass in secret with three drops of wine in the palm of his hand and the host smuggled inside a flashlight by his faithful. 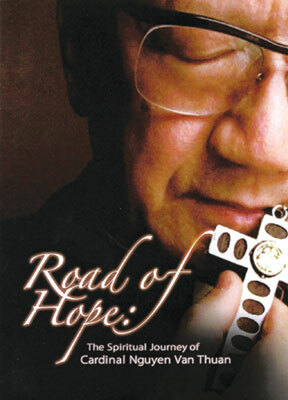 Featuring interviews with those who knew him best, never-before-seen family videos, and rare archival footage, Road of Hope offers an unprecedented glimpse into the life of a modern day martyr and saint.